Do you want to sell your BMW quickly and for a great price? Sell your BMW to We Buy Any Car and get a fast, fair payout! Contact us now for a hassle free, obligation free BMW valuation. We promise to give you first class service and a fair quote with no hidden fees. Our customer service simply cannot be beat. We specialize in buying all BMW models, regardless of their age or condition. 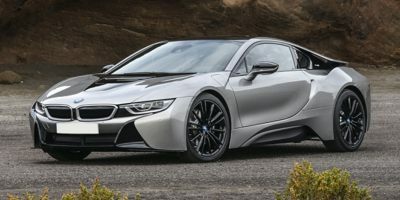 We will buy your BMW whether it has a manual, automatic or tip-tronic transmission, or a diesel or gasoline engine – and whether it is running or not. We can arrange to give you a personalized, fair and honest assessment of your BMW at a convenient local branch and pay higher prices for low mileage BMW autos and examples that require minimal reconditioning. For a stress free deal and a great price, enter your vehicle details into our 60 second quote system online and make an appointment for a full inspection and a fair and competitive valuation of your BMW. We will buy any BMW model including the 1 Series, 3 Series, 5 Series, 6 Series, 7 Series, M3, X Series, Z3 Roadster, Z4 Roadster and more. Founded in Munich, Germany in 1916, BMW is one of the most well known and respected automobile manufacturers in the world. BMW models are well known for their reliability, comfort, ability to perform efficiently and excellent fuel management. All of these factors lead to reduced fuel costs and add to driving pleasure, which in turn sees the resale value of most BMW models remain high throughout the life of the vehicle.